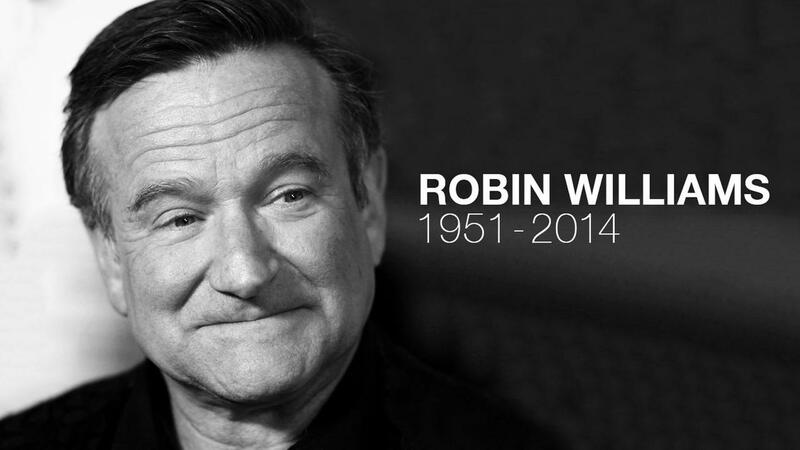 It’s been one year since the world lost Robin Williams, who will forever be remembered as one of Hollywood’s greatest actors. He was a man that could make you laugh uncontrollably and cry yourself dry. His characters were a staple of my childhood and will forever remain as my favourite way to remember his unique and wonderful personality. As a result, I’ve chosen to create a Top 5 of his roles that made me laugh and sob the hardest, but also opened my mind and made me think about my impact on the world around me. 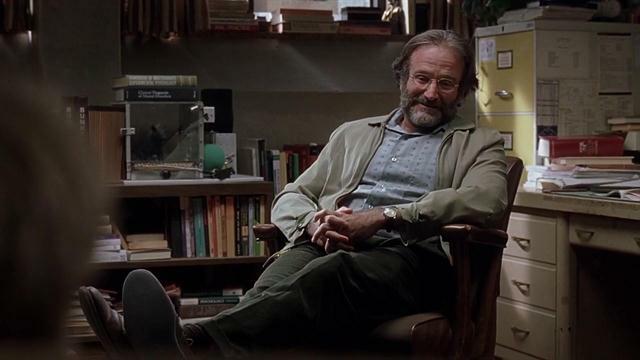 The character of Dr. Sean Maguire is my all-time favourite Robin Williams role. Good Will Hunting centres-upon a mathematical genius named Will (Matt Damon) who secretly solves difficult math problems while working as a janitor at the Massachusetts Institute of Technology. Will is incarcerated after a fight, but instead of serving jail time Professor Lambeau (Stellan Skarsgard) convinces the courts to have Will serve community service with him instead. But, the only way the court would allow it was if Will saw a therapist. Enter Dr. Sean Maguire, Lambeau’s old college roommate, and a current teacher of psychology at a Boston Community College. Will had already burned through several therapists before Sean, but after a few useless sessions he finally gets Will to open up by challenging his defense tactics head on. Robin’s performance as Sean is exceptional because he incorporates the wit and humor we all associate with him, while delivering the lines with very serious undertones. The character of Sean was unique because he called things as he saw them, didn’t hold back with Will, and shared memories of his past to create a bond with the young genius. As a result of his brilliance as Dr. Sean Maguire, Robin earned his sole Academy Award in the category of Best Supporting Actor. Don’t forget to check out his acceptance speech, which is featured at the bottom of this post. Favourite Quote: The park-bench scene in the video below is hands-down my favourite scene of the film. Hats off to Matt Damon & Ben Affleck for their brilliant screenplay, and to the late Robin Williams for his deliverance of this iconic monologue. Mrs. Doubtfire is one of the biggest staples of my childhood because I could watch it over and over and never get tired of the cross-dressing Robin Williams. For those who haven’t seen this brilliant film you need to finish reading this post and then go out and buy it because it is pure gold. Mrs. Doubtfire follows Robin Williams as Daniel Hillard, a man who has recently been divorced and lost custody of his children. In order to spend more time with them outside of his weekly supervised visits, Daniel creates a master plan of dressing up as an old woman in order to get hired as a nanny by his ex-wife. The rest of the film is full of hilarious moments as Daniel attempts to balance his wants with his new set of roles and responsibilities as Mrs. Doubtfire. 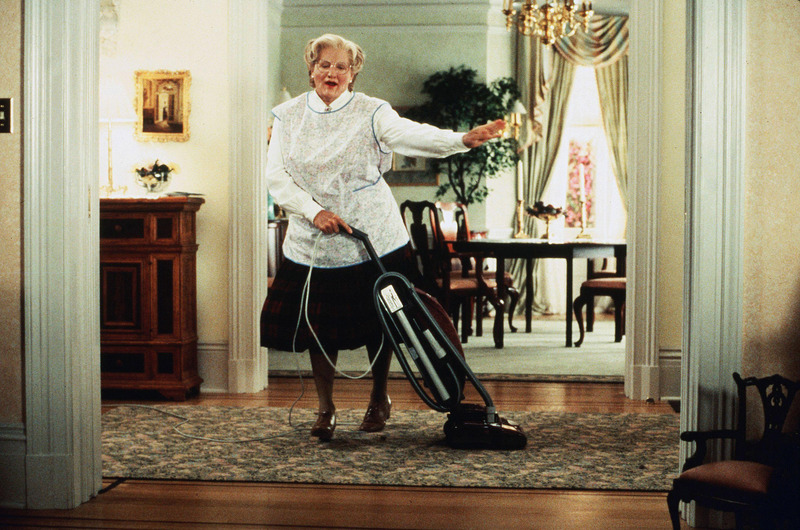 Robin is excellent in this role as he gets to show off the wide range of his impressions as Daniel, but also uses wit and humour as Mrs. Doubtfire in order to take us on a father’s unique journey back to his kids. 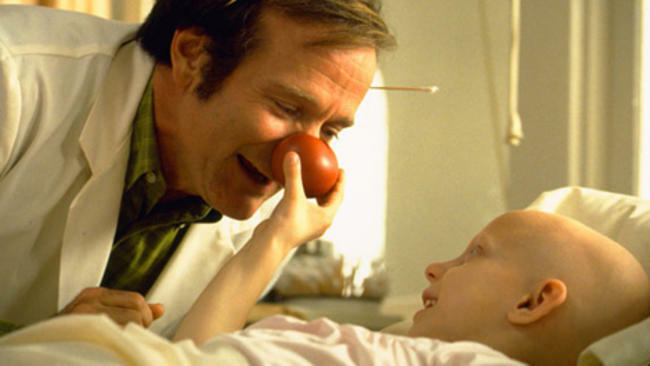 Patch Adams is a movie dear to my heart as I feel it is the perfect representation of Robin Williams’ effect on the world. The film centres upon a man named Hunter “Patch” Adams who has had a tough time with depression, so he checks himself into a mental institution. While he’s there he realizes that his humour creates a strong and positive reaction from the other patients. As a result, he feels he now has a true purpose in life and wants to become a doctor so that he can help bring joy to those in need. Patch begins his time at a Medical College in Virginia and instantly clashes with the Dean as he feels they should be taught how to bond with patients, versus just learning how to cure them. 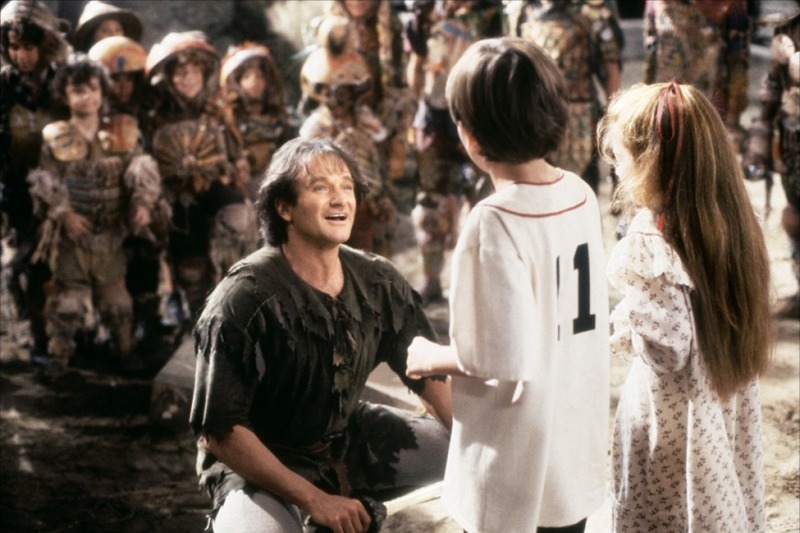 Robin is wonderful in this role as he puts his performer hat on in several scenes throughout the film. I always get the biggest smile on my face when I watch him sneak into the children’s ward to cheer them up. I truly believe this role was made for Robin as his films are exactly what “cure” me by cheering me up when I’m feeling down. 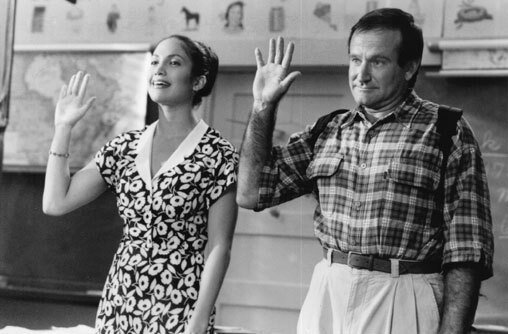 Similar to the role of Dr. Sean Maguire, English teacher John Keating is a role that Robin Williams tackles head on, as he once again branches away from comedic-centred roles. 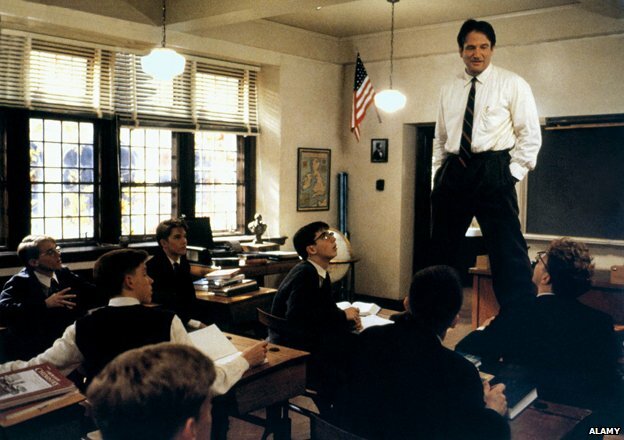 Dead Poets Society is a classic that everyone should take a chance to sit down and watch at least once, because Robin truly inspires as John Keating. At an all-boys elite prep board school, Mr. Keating’s teaching style is deemed unorthodox as he preaches to the young men to live their lives extraordinarily and to “carpe diem” (a Latin term meaning “seize the day”). For his remarkable performance as John Keating, Robin earned himself an Academy Award nomination in the category of Best Actor. 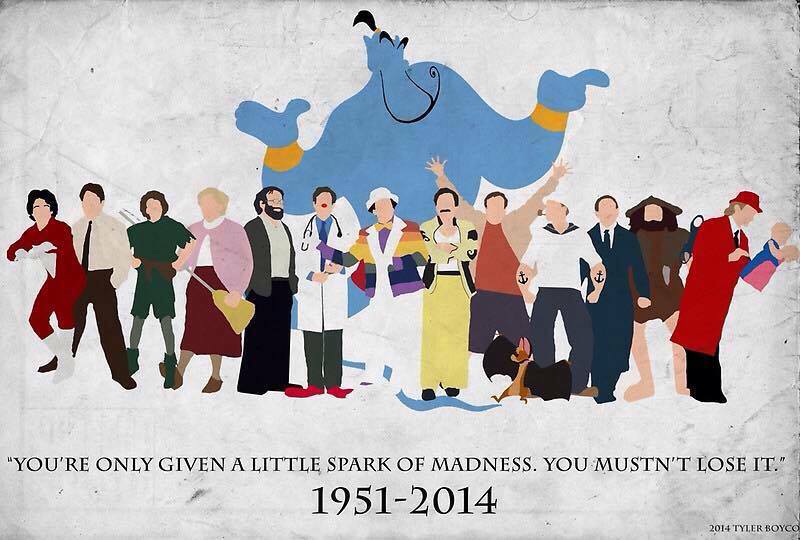 Aladdin is one of my favourite classic Disney animated films, solely because of Robin William’s work as the Genie. 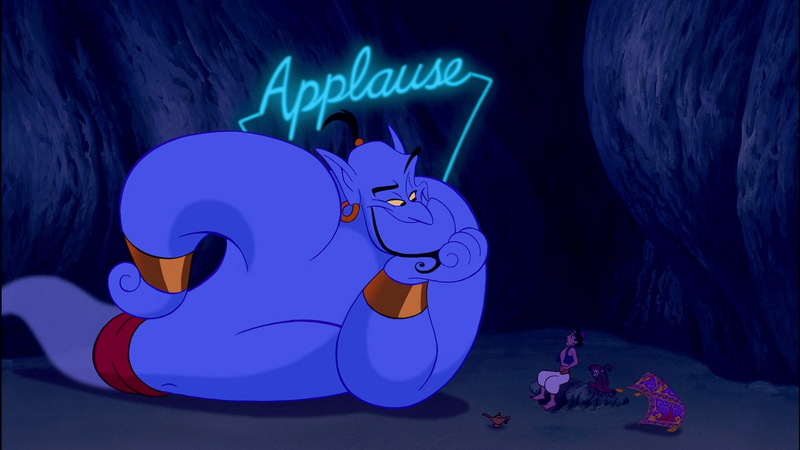 He brought a unique element to this role with his ability to transform his voice into several different accents and characters in order to mirror the visual manipulation of the Genie’s body. His impressions and witty banter with Aladdin are the best parts of the films such as his scenes as Jack Nicholson, the female flight attendant, and a tailor just to name a few. As a result of Robin’s unique style and special interpretation of voice work, the Genie will remain as one of the most beloved characters of the Disney world. Bonus: Robin Williams was not only an excellent actor, he was also an exceptional comedian as he was quick and witty in everyday life. I’ve chosen a few clips of my favourite moments of him both informally, acting on-screen, and performing on stage (EXPLICIT!). 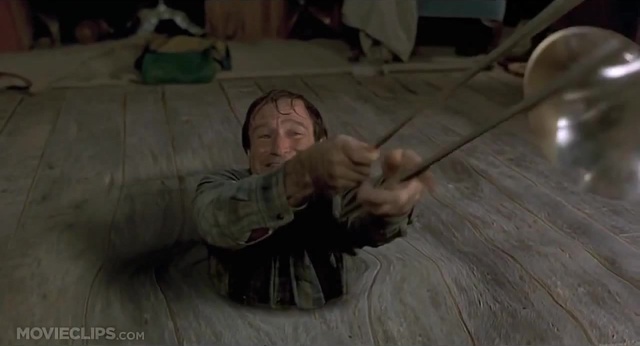 Click any of the videos below to relive the comedic genius and unique talent that Robin Williams truly was.